If your plan for this weekend does not involve attending this years Nanocon, you might want to reconsider. Taking place at the Dakota Prairie Play House November 2nd through the 4th, Nanocon is a weekend long event sponsored by Dakota State University, the College of Arts and Sciences, and the College of Business and Information Systems. 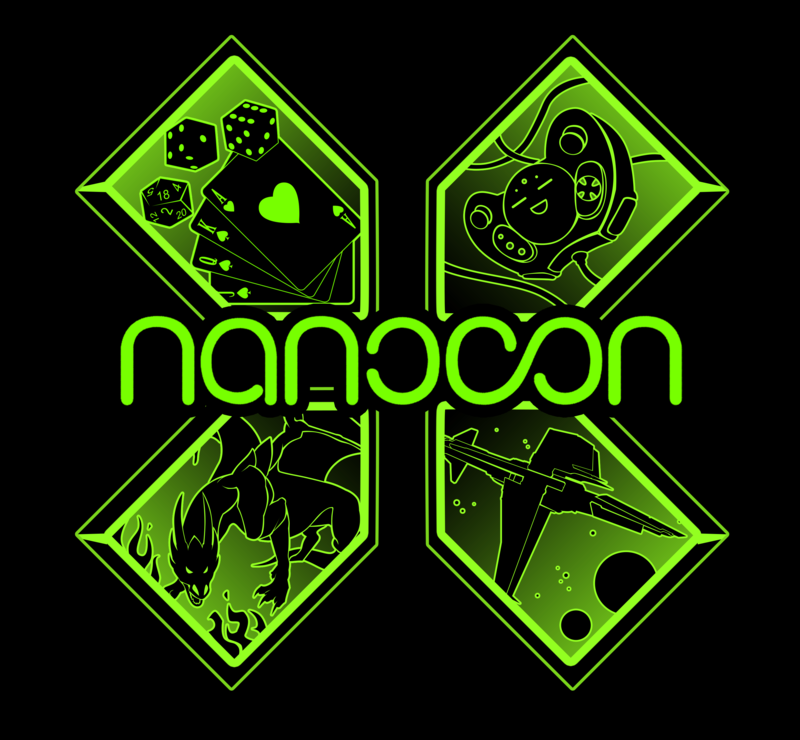 Nanocon looks to offer students, faculty, and a few special guests the opportunity to share some interesting information about game design and to take part in some gaming themselves. A major component of this years Nanocon is the 2nd Annual Workshop on Integrated Design in Games: Augmented and Alternate Realities. On Friday night this event offers a chance to take part in the Humans vs. Zombies Administrators Panel from 6:00-7:00 p.m. Starting things off on Saturday at 9:30 a.m., there will be a presentation on “Game Magic and the Augmented Book” given by Jeff Howard assistant professor of Game Development and Design at Dakota State University. Following that presentation, Joe Sklover and Chris Weed, the creators of Humans vs Zombies, will let us on their thought process in “Designing Humans vs. Zombies” at 10:30 a.m. Last but not least, at 11:30 a.m. “Through the Lens of Truth: Real World Adaptive Level Design” explores how real and game worlds can enrich one another. If sitting and listing to speakers is not your style, Nanocon is still has plenty to offer you. If card games are your thing, Nanocon has got you covered. All weekend long, visitors to Nanocon will have a chance to help their team win Meme Complex a faction based card game created by the Game Design Club. There will also be several Magic the Gathering tournaments offering prizes for 1st and 2nd places. The entry fees for these tournaments range in price from $5-$25 dollars. With many more card games waiting to be played, these are just a few of the examples of what we can expect to see at Nanocon. Maybe it is miniature figures and strategy type games that you are into if so Nanocon has something for you too. A favorite from years past, there will be a Panzer Reich tournament with four qualifying rounds and prizes given to the winner. If you have ever dreamed of recreating the classic Star Wars battle on the planet Hoth, Nanocon can make that a reality. If neither of those suite you, do not fear there are other choices for you to choose from. If board games are what you are into, Nanocon has something for you. Arkham Horror’s Richard Launius and Kevin Wilson will be around to play Elder Sign the game they helped develop. If that is still not enough to convince you to check out Nanocon, there is more! You could be into Role Playing Games and creating a unique adventure. Nanocon can and wants to help you do just that. Create stories with your friends and even your enemies in the worlds of Shadow Run, Naruto, and Wellstone City; the possibilities are endless. With more events than you can shake a stick at Nanocon promises a good time and a chance to learn some new things. Look around campus for event posters for a more complete schedule of events and times. Please do yourself a favor and check it out! Thanks to the DSU Gaming Club and others help put Nanocon on! Kudos to you! I brought 13 high school students from FIS, Flandreau, SD, and as usual, we had a blast. Thanks for your informative Preview!